Edited: It will contain the 10 following songs, and we got some preview studio recordings on YouTube, to start getting a taste of what is coming. So that's something for me to be excited about, since there is no X album yet on sight any time soon. I already know some of these songs and will research the few unknown songs in preparation for the release. This album will definitely have a different sound than usual (as much as I like and want to support Toshl, I can't help but feel all the recent Toshl era songs sound very much the same). Yes! This is good news! Toshi seems to be putting out a lot of stuff at the moment which is good for us fans. 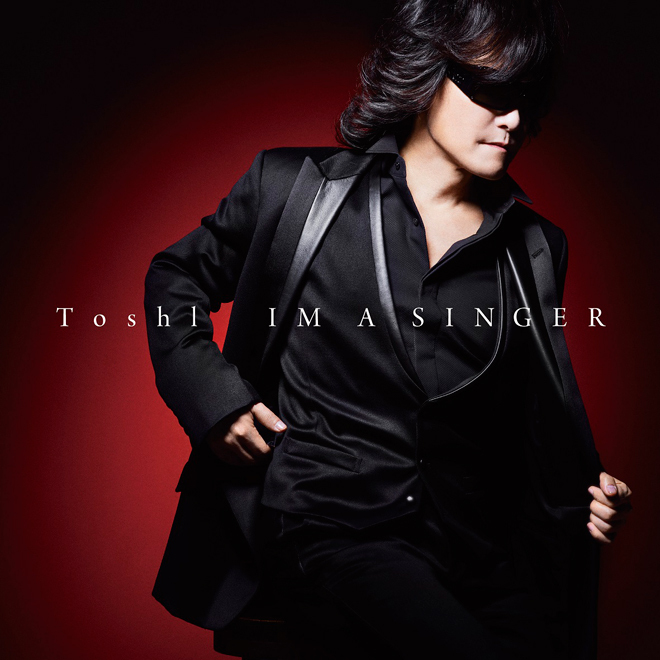 I like the title 'I'm a singer' It's modest...Toshi is THE singer! So the 10th song of the album has been announced to be "I love you" from the late singer 尾崎豊 (Yutaka Ozaki). We also got the album cover image, and the preview studio recording of 3 of the songs on YouTube, to start getting a taste of what is coming. I'm super excited for this album! Thanks for the links Looks like a ballad album. I will love it no matter what. I love Toshi's voice on every single song I've ever heard him sing. No reason for that to change. He's the greatest! Just 10 days until the release, can't wait!! I like the song "Chicken Rice"
I know the album will be available for release as mp3s or downloads. Is it also available as a hard copy, CD and if so, where? So I got the album as mp3 in Amazon Spain for 9,99 EUR. How about you guys? As I expected, it's fantastic! I have it on Spotify for the time being. I love it! Have you heard this clip of Toshi's on his twitter feed promoting his album in shopping malls in Japan? I love it! His voice is in such good condition and hitting the high notes perfectly! ❤❤❤ Wow! Damn I wish we had singers like Toshi singing in our shopping malls here. It would make me want to tolerate the crowds for Christmas shopping! I listened the samples on iTunes. His voice is really nice. I know what you mean. I listened to this yesterday in the car and if I'm honest I really wanted to like it more than I do. I like the song Chicken Rice but for me there was no stand out song that made me say "oh I love this" and I really did want to love it because I love Toshi. His voice is beautiful on this though. Perhaps singing these types of songs helps him rest his voice more and helps with the higher notes? His voice sounds crystal clear lately and in really good condition. Maybe this album will be a 'grower' for me if I give it a few more listens. It's a plesant Christmas album but I just feel like its been marketed for the mums and the grans to get in their stockings at Christmas, which is no bad thing as cover albums always sell quite well at this time of year and Toshi deserves happiness. Ah I guess I'm just a little dissapointed that there isn't a 'I want to play this to death' song on here for me. Perhaps its a little too easy listening for me. I think I need more angst in my music. lol! Well X is a largely dormant band so I think its kinda normal. Rock isn't really as mainstream as it used to be years ago either so combined with these things I think the views reflect that. Toshi's new album is really for a different market as I imagine it wouldn't appeal to old X fans as much but I imagine there is a bigger following of ladies who 'love that sweet guy in the glasses from that " X japan" band with his cute dog baking cakes and wiping kids noses' and who can blame them. He is very lovely and always seems to be on TV lately looking all adorable and stuff. It's easy for Toshi to steal our hearts. Hmmm didn't we all like Aoi Hoshi no Tabibito? I did but it's not something I would listen to on repeat, day after day. Same with this new CD, IM A SINGER. I love certain songs and am kinda meh on quite a few of the rest of them but I wouldn't call it old people music. LOL. IDK, he's doing what he does well. That's what counts for him and I am happy for him as he seems to have great response from fans for having put it out. Good for him if something goes wrong with X Japan which to me, looks like something is happening and we haven't heard an announcement about it, yet, but it seems to be happening, if you know what I mean? So let him go, let him do his thing and make good on it all because he deserves that after all he has been through in his life. I will always continue to support what he does, whether it's with X Japan, alone or with someone else. He's just too good of a singer and apparently y too darned nice of a person not to. In other words, I won't be walking away, soon. Maybe it would get even more views if he'd do another collaboration with the original singer. This album is a bit of a bargain bin, at HMV Japan (which still exists apparently in Asia, who knew?!) release. The material needs a bloody good re-arrangement by a decent producer; not expecting George Martin level, but its a bit "The Greatest Hits of Saccharine". Not saying it is strictly 'Muzak', but its definitely something I'll be listening to in the background when I purchase my next caramel shortcake at a Japanese coffee-shop, the performance at the shopping mall is an ironic precursor as I imagine shopping malls are where it will get most of its playtime. I can't speak for the majorities who still remain here after all these years, but lets face it; if this didn't have Toshl stamped on the album cover, would we really be listening or considering this album? And the original I Love You is actually better than the Toshi version. Now if it had been a reinvention of the classics, made a little more complex and intriguing, it might be worth the expenditure, but I presume that is not the point of the album. But this is just my tastes. 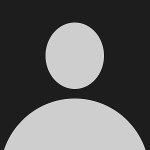 Voice is good though, if we have to resort to technical appraisal.